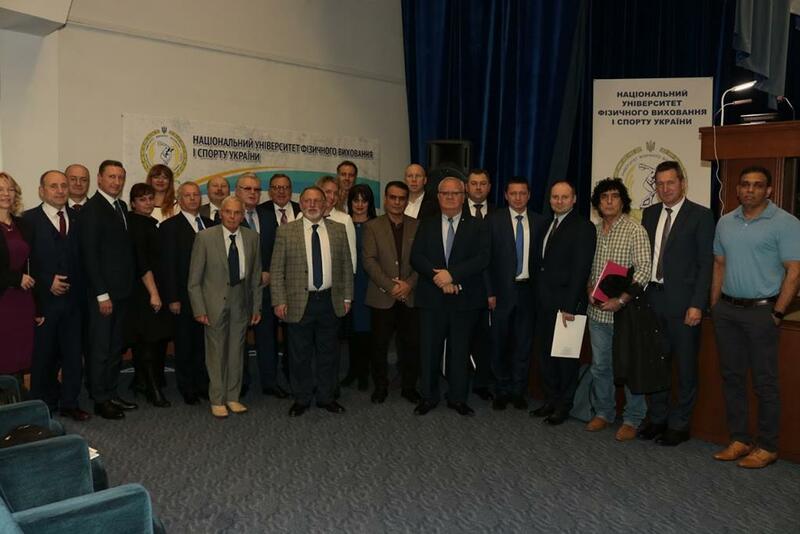 On 21–22 November 2018 in Кyiv (Ukraine) a lot of experts from 21 countries and 11 Ukrainian universities were share their achievements in fundamental and applied scientific researches with colleagues on the International Conference «SUSTAINABILITY AND LEGACY IN SPORT: CHALLENGES AND PERSPECTIVES». This forum hold under Patronage of International Association of Sport Kinetics International Association of Universities on Physical Culture and Sport. The Conference program included not only various aspects of sports orientation. But it also highlighted the role of motor activity and other forms of physical education as a crucial factor in strengthening the health of young people, as well as the Olympic education issuedas a vector of value orientations for the younger generation, which were important in the process of the healthy lifestyle formation and promotion. Enclosed we are sending you the Final Scientific Program of the 14th International Scientific Conference of Sport Kinetics 2018 “Movement in Human Life and Health”. In the Conference program we have planned the Boat excursion on Monday, June 28 in the afternoon. We would kindly like to ask you to send us your decision if you can confirm us your participation at the excursion. The Boat trip excursion is priced 45 EURO extra from the conference fee.